Iain Pate is a freelance producer and curator of arts projects, including temporary, site-specific, moving image and live performance work. Iain has worked with a variety of organisations and individual artists to develop and deliver a broad range of exhibitions and events. As Producer for AV Festival in 2012 Iain had responsibility for successfully managing newly commissioned live events and large-scale installations located across Newcastle, Gateshead, Sunderland, and Middlesbrough. From 2005 to 2011 Iain was Programme Manager with Forma Arts and Media, one of Europe’s leading production agencies for high quality, interdisciplinary contemporary art. As part of a small team, Iain played a key role in the delivery of an extensive range of UK and international touring projects. Iain is Director of Modern Empire, working with emerging and established artists to produce limited edition prints and to foster investment in artists’ works on paper. He previously worked at Dundee Contemporary Arts, and as a freelancer with galleries including Esther Schipper, Berlin and La Panaderia, Mexico City. 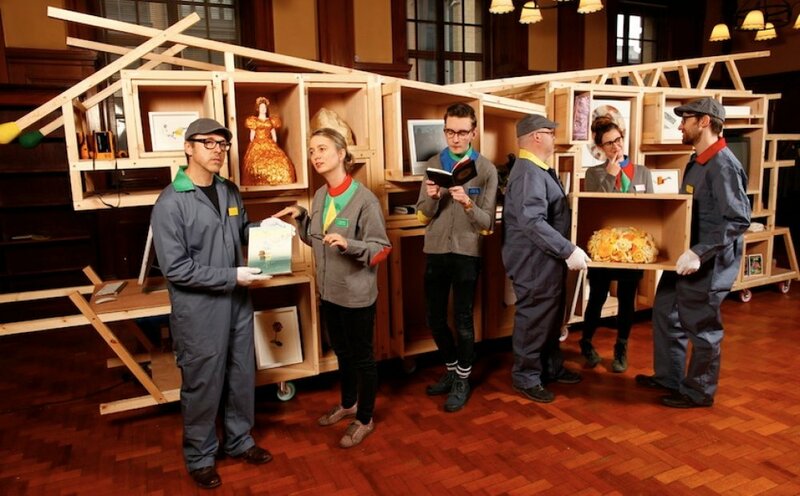 Iain was a contributer to the 2012 and the 2013 Curatorial Marathon.